According to the statement of the Press Secretary of the US State Department Heather Nauert, unjust accusations against Semena should be lifted. "The United States is deeply troubled by the decision of a court in Russian-occupied Crimea against Radio Free Europe/Radio Liberty journalist Mykola Semena, convicting him of separatism charges and handing down a two-and-a-half year suspended sentence and a ban on future journalistic activity," reads the statement. The US foreign affairs department indicates that the conviction was based on the fact that Semena in his materials had criticized the Russian occupation of the Crimea. "We call on the Russian occupation authorities to vacate Mr. Semena's conviction, allow him to resume his journalistic activity, and cease their campaign to stifle dissent in Crimea," the statement says. 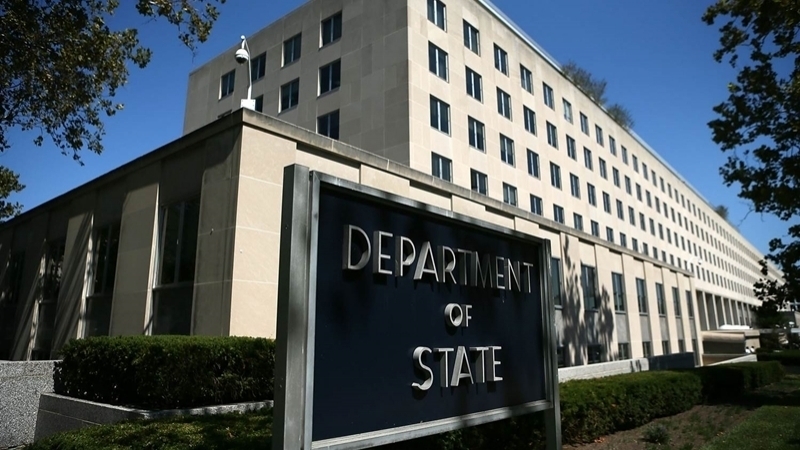 The US State Department stressed that "the Crimea remains an integral part of Ukraine, and the United States remains steadfast in its support for the territorial integrity and sovereignty of Ukraine." Earlier, September 22 the so-called Railway District Court of Simferopol announced the verdict to Mykola Semena. The journalist was sentenced to two and a half years' imprisonment on probation, with a probation period of three years and a ban on engaging in public activities for three years. The invaders charged the journalist with public appeals to violate the territorial integrity of Russia. In April 2016, the FSB conducted a search in his house, and in May of the same year he was formally charged with the fact that the journalist published an article on the Crimea.Realii website. At present, Semena is not allowed to leave the place. Mykola Semena insists that his materials implemented the right to freedom of speech.